In order to detect the piston position of hydraulic cylinders, magnetostrictive and inductive sensors are directly integrated in the sensor. Therefore, the magneto-inductive sensor mainSENSOR is an alternative. The face-mounted magnet transfers its magnetic field to the piston rod. 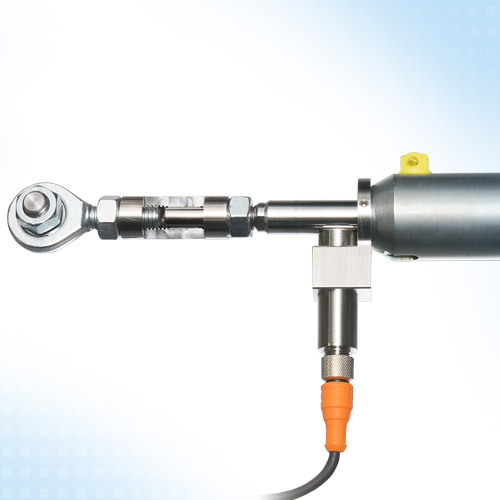 The sensor mounted outside then detects the magnetic field distribution along the rod and converts this into a linear output signal, which corresponds to the piston position.